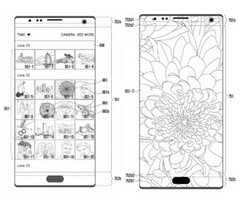 The patent may be implemented in the successor of the Galaxy S9 at the soonest, but then again, as with many patents, it could only be just a cool concept that may never be featured in Samsung's devices. Apple tried its hand at a bezel-less smartphone display for the iPhone X model, but could not get rid of the upper notch for some reason. Lenovo also seems to be preparing a bezel-less model with the notch, probably using the same Chinese factories to manufacture the displays. Samsung, however, intends to be the first to introduce a true bezel-less display. The South Korean company filed a patent for such a display back in 2017, but the World Intellectual Property Organization was only able to reveal it just a few days ago. 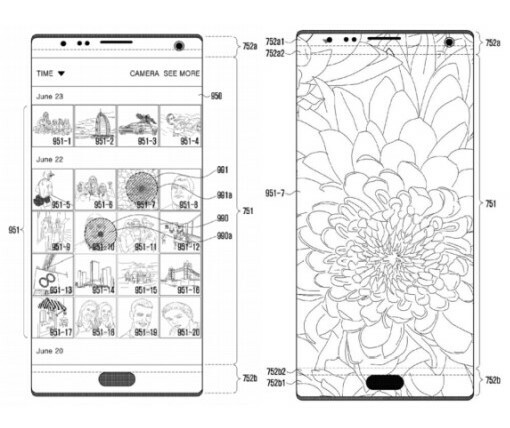 According to the patent, Samsung’s design integrates the fingerprint sensor and the front camera in the display. An in-display fingerprint sensor has been previously announced by Samsung and other companies like Vivo at CES 2018, but no one tried to integrate the front camera plus all the sensors and the upper speaker in the display itself up until now. Samsung’s patent could be implemented in the next version after the Galaxy S9, but there is always the possibility that the concept may never end up in a consumer product.